"Are you a Duke or a Dimwit?". 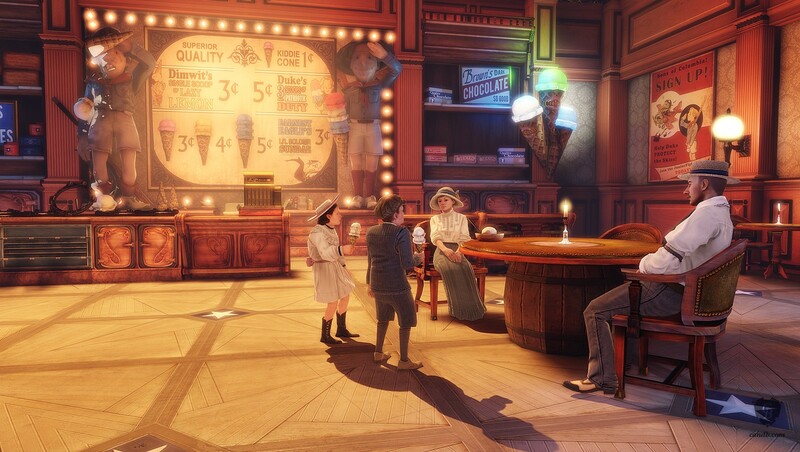 Ice Cream Parlor is part of the official BioShock Infinite art collection. 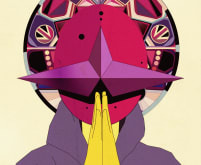 This limited-edition original digital art print is made from a special high-resolution in-game render. 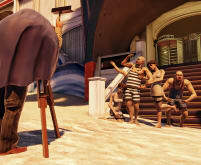 The giclee is signed by BioShock’s creator and one of the founders of Irrational Games, Ken Levine. 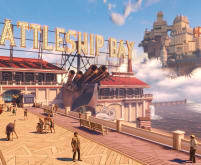 Irrational Games is an award winning video game developer located in Quincy, MA and founded in 1997 by Ken Levine, Jonathan Chey, and Robert Fermier. 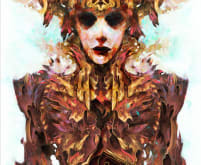 Bestellen Sie unseren Newsletter und erhalten Sie bevorzugt Nachrichten über Angebote, neue Kunstwerke, Künstler und Einladungen zu Ausstellungen. 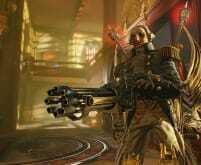 Copyright: Irrational Games - Cook & Becker B.V.